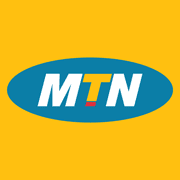 It is here againooo, MTN is giving out free Unlimited plan to a MTN lines that wish to subscribe for the plan. This plan is a free Zomobie plan that would last 24hours. “Your subscription to ZOMOBIE has been successfully and 20.00 deducted from your account. Your service will be renewed on 2016-12-21. To cancel, text Stop GZO to 55326. Thank you! Just leave the others If you are using this VPN for the first time, Save and close the Handler Settings. Then a pop up will appear and you have to choose “ Tunnel whole device ” You will be taken to the mainscreen where you will go to the “Options ” menu and select “ Best Performance” as the region or use any other region of your choice.